Viedma-Patagones, Argentina. 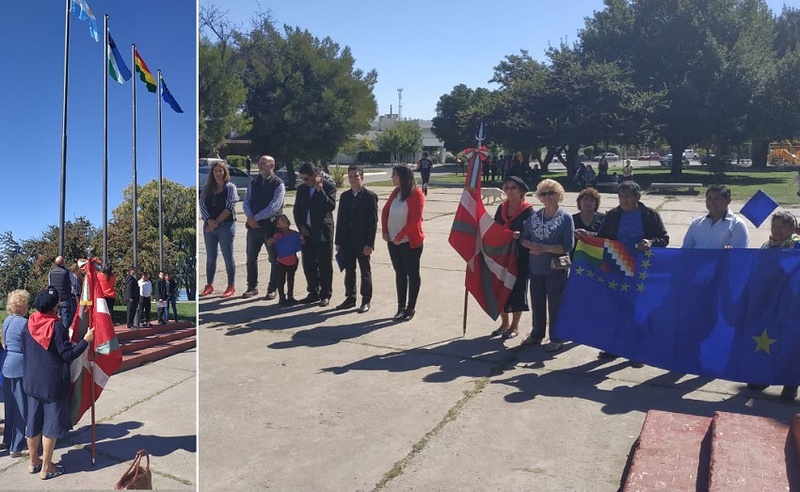 Invited by the Consulate of the Plurinational State of Bolivia in Viedma, members of the Aberri Etxea Basque Club were present on March 22nd at an event to commemorate the “Day of the Sea,” the date that the town of Calama was defended in the War of the Pacific as remembered by the Bolivian community. During the event Consul Nestor Condori Coarite explained the importance of the date in the claim of Bolivia as an outlet to the sea. Besides thanking the presence of local authorities, the consul also had “warm words for the Basques, the only other community represented at the ceremony."